In general, the market share for fresh agricultural products is declining and the share of packed or processed agricultural goods is increasing. For these, but also for fresh products, there is a trend towards supermarkets even in developing countries, which is very marked in Latin America and East Asia, while it is a process just starting in Africa. In South Asia this trend seems slower; urban wholesale markets and weekly rural markets are still the largest trading places. But, sooner or later, this will also change in India, Bangladesh and Pakistan. This supermarketisation process is a recent phenomenon which took place in three waves 40. The first wave includes much of South America and East Asia outside China (such as Argentina, Brazil, Chile, South Korea and Taiwan) where the share of supermarkets in food retail went from roughly 10 -20 % in 1990 to 50 – 60 % on average by the early 2000s. The second wave includes much of South-East Asia and Central America, where the share went from 5 -10 % in 1990 to 30 -50 % by the early 2000s ( Mexico, Colombia, Costa Rica, Guatemala, Thailand and the Philippines ). The third wave includes Nicaragua, Peru, Vietnam and China, where supermarkets were either a tiny niche or non-existent in 1990, and have come to represent 10-20 % of national food retail by the early 2000s. There is a trend towards centralisation and regionalisation of procurement. As the number of stores in a given supermarket chain grows, there is a tendency to shift from a per-store procurement system to a distribution centre serving several stores in a given zone, district, country or region. The reason for this centralisation is clearly to reduce the transaction costs, and there are examples from China where centralised procurement is saving up to 40 per cent in distribution costs. The second area is a shift towards the use of specialised wholesalers and logistics firms. Supermarkets are increasingly working with specialised wholesalers, dedicated and capable of meeting their specific needs. For instance, the supermarket chain Corporación de Supermercados Unidos (CSU) in Costa Rica, has created Hortifruti , a separate large procurement company. Hortifruti undertakes contract farming and spot-market purchases to source produce for the CSU stores in Costa Rica, Nicaragua and Honduras, following the private quality standards set by the chain. The third area is a trend towards ‘ preferred supplier systems, where suppliers have to qualify to be included in a list. This form is very close to contract farming and provides many potential opportunities for small farmers.Contracts serve as incentives to the suppliers to stay with the buyer and over time make investments in assets (such as know-how and equipment) specific to the retailer specifications regarding the products. These contracts sometimes include direct or indirect assistance for farmers to make investments in human capital, management input quality, and basic equipment. Evidence is emerging that for many small farms these assistance programmes are the only source of much-valued inputs and assistance, in particular where public service systems have been dismantled or their coverage is inadequate. The fourth area is a trend to rising private standards also in non-Western countries. Global supermarket chains are increasingly applying quality standards that are in compliance with the toughest markets in the set, including European and US standards. These new procurement channels can be a big threat to smallholder farmers. There are many examples where even innovative cooperatives have failed to meet the rigid and extremely demanding standards of supermarkets, and there are some examples which give hope. Supermarkets are in fierce competition with each other and they do not pay for the farm-level investments needed to comply with their standards. Who will pay for watersecure wells ? Latrines and hand-washing facilities in the fields ? Record keeping systems? Clean and proper packing houses with cement floors ? The suppliers have to bear the financial burden of access to supermarket procurement. Unless development interventions assist small farmers in this transition, they will simply drop out of the supply chain and the new markets. 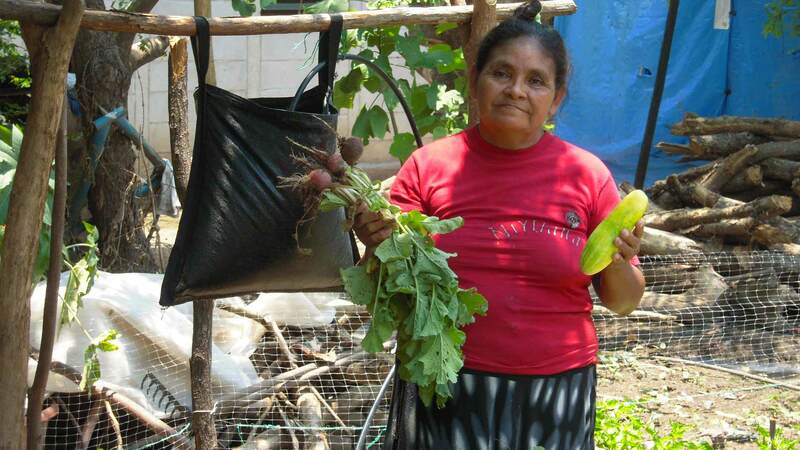 A very interesting and effective marketing project in Honduras links small farmers with supermarkets to enable them to participate in the US $ 500+ million market of fruits and vegetables that the supermarkets had been sourcing from neighbouring Guatemala. The Honduran farmers were not sufficiently organised and technically equipped to produce the quantities and qualities that their own urban supermarkets demanded. To become competitive and gain access to this home market, the farmers needed to improve their organisation, introduce drip irrigation, schedule their cropping according to a tight calendar, and adopt many other measures.Read more on the Agropyme project, now called Pymerural.